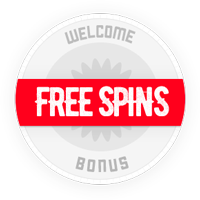 Welcome bonuses are standard items at online casinos, offering new players the opportunity to increase their bankroll with a matching deposit. This is often called, ‘free money’ to entice less-experienced players into signing up. But if that sounds too good to be true, then you are probably right. How Does a Welcome Bonus Work? When a new player makes a deposit at a casino, that deposit will typically be matched by another amount on the house- usually it’s 100%, meaning if you deposit $100, the casino will add another $100 to your account so that you have $200 in playing money. The idea is that with this extra money, you can try new casino games – and compared to land based casinos, which have a much smaller selection focusing on table games with a few slot machines, online casinos can have hundreds of games. This extra money lets you sample everything there is at no risk – you can literally afford to lose because the money was free. You can afford to lose, but can you afford to win? Bonus money is not without strings – in order to withdraw your winnings, you will have to meet your wagering requirements. This average is between 30 and 50x, meaning you will have to bet 50 times over your bonus money – that’s $50 000, meaning that it’s unlikely you will walk away with your winnings. This has led to some disgruntled players, and the industry is now offering better bonus terms. Casinos can offer better terms because they will always win in the long term picture with the house edge, so they can afford to be generous to new players. Playtech’s casinos, especially the smaller ones such as 7Regal, have made a point to offer better bonus deals for players as a long term strategy for better customer retention. 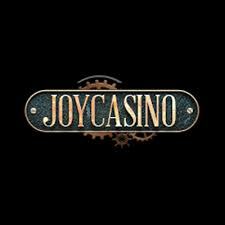 At Joycasino for example, the Welcome Bonus is 200% and the wagering requirement is only 20x. This makes it much easier for players to walk away with their winnings. It’s a win-win situation for everyone and players keep coming back.